Top Quality service for your house at reasonable rates, by selected certified experts! Did you get locked out of your house or apartment? Need a spare key for your home? Want to change your Locks? Call (866) 670-3266 for a free quote and have the service handled by one of our certified residential locksmiths in your local area! 24/7 Residential Locksmith Services provides you with quick and efficient services at very affordable rates. Nationwide local service in the U.S.
What do you do when there is an emergency and your spouse doesn't work nearby? Or what about those who live alone? No matter how smart or organized you are, getting locked out of your house can happen to anyone, any time. Unfortunately residential lockouts often happen at the most inconvenient times, while you're in the middle of making dinner, or have a candle burning, that you decide to run out and get the mail. Don't wait until you hear the dreaded clicking sound behind you to figure out who to turn to. Being prepared against getting locked out of your home is a necessity and may save you from an emergency situation. Be prepared for a case of a home lock-out and make sure to have 24/7 locksmiths phone number stored in your phone! 24/7 locksmith services is your trusted answer to automotive, commercial, emergency, and most importantly home security issues. Call us Toll Free at (866) 670-3266 or store our number inside your mobile phone. We have the experience to solve any kind of problem, we service every type of home lock from old-fashioned Victorian mansions to modern modular homes. So you have a gun safe and want to protect it from your children while also maintaining it's accessible in case of an emergency? Or do you have a safe with deeds and money tucked away? 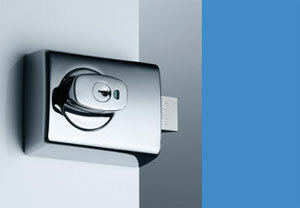 Does your modern home have a keypad in place of a traditional lock? We service and replace specialized Deadbolt Cylinder locks, Mortise locks, Electronic Keyless entry locks, Drop bolts, High security rim cylinder locks and more. Whatever the situation, we can help. Don't worry about finding an office, 24/7 Locksmiths covers nearly all US locations and our services are guaranteed around the clock, 7 days a week. 24/7 Locksmiths helps protecting your residential assets and offers quick response in a professional manner. If you get locked out of your home, we will get you in without damaging the lock. Call (866) 670-3266 to speak to our customer service representative for free over-the-phone advise and consultation followed by quick and reliable on-site response. We ensure high quality of service, quick turn around times and customer satisfaction backed up with a 90 day guarantee. Especially in emergency situations we try to be on location in less then 15 minutes, and always within 20 minutes. Feel confident about securing yourself and your home by choosing the right people to help. No matter what the question, the time of day or night, 24/7 Residential Locksmiths the locksmith company for you! In need of a Professional Locksmith service at your location? Our certified mobile locksmith will come to your location in less then 20 minutes. Call us today at (866) 670-3266!